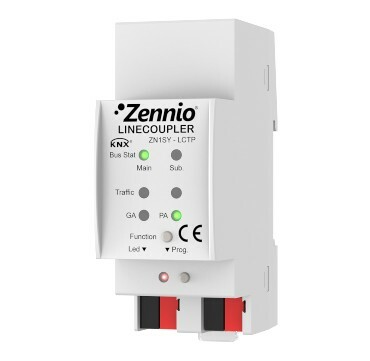 Linecoupler is the KNX line-coupling and line-repeating solution. It connects lines with galvanic isolation filter. Telegram dropping to reduce traffic. IMPORTANT NOTE: Zennio Linecoupler 2.0 is only compatible with devices whose serial number is later than serial number 17AGJ0000. For devices with previous serial number, it is necessary to use Zennio Linecoupler 1.2 version.